CLICK TO CALL from a Smartphone! The cool mornings and warmer daytime temps is a perfect recipe for your rock chips to spread, GET THEM FIXED before they spread! Call Chapman Auto Glass at 505-228-5869 and get them fixed today! You’re driving down the highway, when suddenly a small object comes hurling right at your window. You think it is not big enough to do any major damage, but it still leaves a small chip in your windshield. Which leads to the ultimate question: Do you fix it or not fix it? We have all heard the phrase chips happen (haha, see what I did there? ), and sometimes it’s hard to figure out the best way to handle them. Here are four misconceptions about windshield repair. The chances of your chip not cracking are slim. Research shows that 70% of rock chips eventually will spread into much bigger ones. If the chip spreads too much (larger than a quarter), you will end up needing a total windshield replacement. That, of course,is a much more expensive repair. Get any chips taken care of as soon as possible, no matter how small, to ensure the repair is quick and inexpensive. We’ve all heard the saying: “You get what you pay for.” That could not be more true than when it comes to a windshield repair. You only get one shot at performing a rock chip so you want to make sure it is done correctly. Cheap repairs kits use inexpensive materials that often won’t endure the regular wear and tear of a windshield. Going to someone who knows what they’re doing and has quality materials to fix the problem the first time around means that you will save yourself time, money and the hassle of doing the job incorrectly yourself. For chip repair, as long as you have comprehensive full coverage on your vehicle most insurance companies, except State Farm, will completely waive your comprehensive deductible, no matter if it is $50 or $500. If you allow the chip to crack out and a full windshield replacement is required you will have to meet your deductible before the insurance company will pick up any amount for the replacement. Typically, you do not have to worry about your insurance premiums rising after filing the claim unless you were proved negligent or at fault. Windshield damage is a common occurrence that is often out of the driver’s control. Insurance companies will not penalize you for such a common incidence that requires just a simple fix. Many shops will advertise and offer guaranteed chip repair, implying that they will guarantee the repair against ever cracking and leading you to believe that if the repair does crack out, you will get a refund of the amount you paid. THAT COULD NOT BE FARTHER FROM THE TRUTH!!! I dare say that there is absolutely NO SHOP that will do that. If you believe that I challenge you to pay cash for the repair and when/if the repair cracks further I want you to go back to the shop and get your money back without buying a windshield from them. Did you catch that? NO SHOP will refund the cost of the repair if you do not buy the replacement windshield from them. Their implied guarantee will only cover a CREDIT towards the cost of a new replacement, and only if they have not put a time frame on the guarantee. If they do apply the credit towards a new windshield most of these shops will increase the cost at least by the amount of the repair. Hopefully I have cleared the air about some of the most common windshield repair misconceptions. However, if you have any other questions or want to know more about how we can help you fix your windshield just give us a call! You can reach Chapman Auto Glass representative at (505) 228-5869 to get the expert advice and exceptional service you need. FMVSS 212 measures windshield retention in a barrier crash. Every make and model vehicle is accelerated to 30 mph and crashed head-on into a concrete barrier. The automobile must retain 75 percent of the windshield along the pinchweld perimeter. Some vehicle manufacturers require 100% retention in this severe crash test. FMVSS 216 is the roof crush performance test. It measures the structural strength required to protect occupants in the event the vehicle rolls over. One and one-half times the unloaded vehicle weight or 6,000 lbs. (whichever is less) of force is applied at an angle to the roof. The roof structure can depress no more than five inches to pass. Note: the windshield provides 30-70% of the roof strength. FMVSS 208 occupant crash protection specifies equipment requirements for active and passive restraints, including air bags. There can be no separation of load-bearing safety assemblies in a 30 mph barrier crash. This pertains to the windshield because the passenger side air bag deploys off the windshield in order to perform its safety function. Something happened earlier this week which gave me an idea for this post, which I hope/think may get some people thinking about the quality of windshield replacements in Albuquerque and what level of service you are willing to accept. I was talking with a friend about a year ago who had had his windshield replaced before we met. The conversation went something (actually pretty darn close) like this. Him: Oh, you do windshields? Me: Yes I do, do you need one? Him: I did but the guy I had doing some landscaping said he could do it so he did it for me for a $100, was that a good price? Me: It is lower than my price would have been, mine would have been $150. Him: Well I thought $100 sounded good and he got it in. It leaks when I wash it or it rains so I just don’t wash it. Me: Why don’t you get him to warranty it, come back out and fix it? Him: I can not get him to fix it. Besides it was just something he did on the side for cash. Which takes me to a windshield replacement job earlier this week. I was doing a Lincoln Navigator for a gentleman and when I got to the job site and walked up to the vehicle the first thing I noticed was the several strips of black electrical tape that were running across the top of the windshield holding the top reveal molding in place. I asked the customer about the electrical tape and was told that when he had had the windshield replaced before and that the molding had came loose and when he took it back to the shop that they had placed the electrical tape there in an attempt to “fix” the molding issue. And over the last yr or so as the tape had come loose the customer had simply replaced it with more electrical tape….. instead of having/making the “professional” glass shop stand behind their work and warranty the workmanship of the installation which he had paid hard earned money for….. he was content to accept sub standard work and quality. I find this accepting attitude prevalent here in Albuquerque, which I admit I do not understand, why do we continue to allow this level of service?? The reason for the BLACK electrical tape across the BLACK molding at the top of the windshield was two fold. 1. They had cut the bottom portion of the molding that wraps around the edge of the glass and tried to glue the remainder of the molding to the vehicle. 2. They were hoping that the customer would forget about the tape holding the molding in place because it was black, the same color as the molding….. I mean why else electrical tape? They normally use blue or gray painters tape…..pretty sneaky. As I showed the customer why the tape was needed and what had been done in an effort to save the cost of a new molding, a whopping $7!! I would like to think had the customer known at the time that the new molding was only $7, he would have gladly paid the price. I also pulled out the new windshield from my van and showed him that not only did we supply a brand new molding, we also took the extra step running a small bead of urethane to adhere the molding directly to the glass thereby eliminating the risk of the molding coming loose at a later time. Other low cost (cheap low balling) glass shops hate that we do that….. it requires that they purchase a new molding should there be a need for another replacement in the future. Our customers, on the other hand, like the fact that we take the time and care enough to take that small extra step. Which brings me to another subject that I cannot stress enough and attempt to educate the public about. We have all seen vehicles driving down the road with tape on their windshields….. You should not see this, EVER! I repeat … NEVER, EVER! Why is there tape on the windshield? Most times the tape is in two strips on the top on either side of the windshield, why is it there? It is there to hold the windshield from slowly sliding down/out of place before the urethane is cured and able to hold the windshield in place (refer to Safe Drive Away Times) The tape does not hold the windshield in the vehicle, I mean stop and think about it… would you trust masking tape/painters tape to support anything with any weight to it?? Again it is ONLY to keep the windshield from slowly sliding down and out of place. So, after letting the vehicle sit the required amt of time (again refer to the Safe Drive Away Times) before it is safe to drive, you can/should then remove the tape which means…… wait for it…… wait for it……. Which means you should never see a vehicle driving on the road with tape on the windshield!!! My hope is that someone finds and reads my posts and learns something useful that will save them money, headaces and maybe their lives. Albuquerque police are still investigating the case of a city woman who was shot in the face—through the windshield—while she was driving on Paseo del Norte near Golf Course Friday evening. The victim is recovering at home, but detectives aren’t sure whether it was a premeditated shooting or a random act of violence. One thing is for sure: It could have been much worse if the bullet had struck her from a slightly different angle or at closer range. The bullet punctured the windshield and tore through the woman’s nose, lodging into her jaw. Somehow, she managed to safely pull off the busy highway onto the shoulder, where witnesses saw her bleeding from the head and called 911. One witness did see somebody on the nearby pedestrian overpass, but clues were in short supply Friday night when Sgt. Shawn Casaus briefed reporters. Here’s the trouble with the premeditation theory: If the shooter was on the overpass, he was probably armed with a handgun. Below him would be a stream of cars at rush hour, traveling 45 to 50 miles an hour. He (or she) would have to select a fast-moving target, aim, pull the trigger and hope the bullet hit the proper target. If the gun was a semiautomatic, the shooter would have to carefully retrieve the spent casing that would have ejected from the gun. That’s a pretty tall order. But the trouble with the random theory—It means there is someone out there with a gun who’s willing to kill just for the thrill of shooting into traffic. Iwona Patnaude is suing Safelite Auto Glass Company. Safelite replaced the windshield of her Toyota Tundra 6 years prior and the windshield separated from the vehicle during a rollover accident. The accident that took place December 27, 2011 occurred when the Patnaudes were traveling westbound on I-94 in North Dakota. 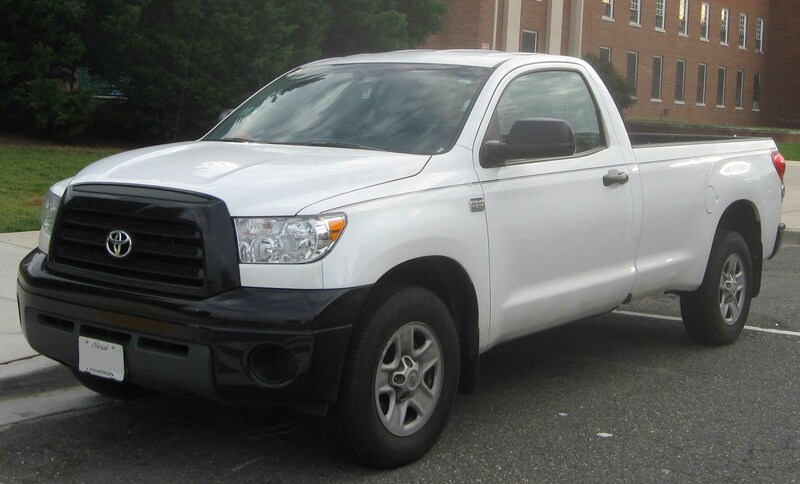 The driver, Jason Patnaude, lost control of the Toyota Tundra when he began to “slide upon contacting a patch of snow and ice on the roadway”. Attorneys claimed, “directional control of the subject Tundra was lost and could not be regained”. It was at that time that the Tundra crossed the interstate’s median and rolled across the eastbound lanes and off the road. During the time of the incident, the windshield separated from the vehicle and the roof collapsed in on the family. Both Jason Patnaude and Victoria (their daughter) sustained fatal head wounds and died on scene. Safelite PR manager Melina Metzger has confirmed that the company did in fact replace the windshield six years ago, but declined any further comment due to the pending litigation. Pantnaude’s attorneys claim that during the accident “the windshield separated from the rest of the vehicle, contributing to the degree of crush sustained by the subject Tundra’s roof structure…The Safelite defendants’ negligent installation of the windshield on the subject Tundra resulted in its failure in the rollover incident”. Patnaude is seeking a jury trial where she will seek reimbursement for injuries as well as damages in excess of $50,000. She sustained severe nervous shock as well as emotional shock having watched her husband and daughter pass away in front of her. Safelite is not the only defendant in this lawsuit; others include Toyota Motor Corp., Toyota Motor Sales USA, Toyota Motor Engineering & Manufacturing North America, Toyota Motor Manufacturing of Indiana, AutoNation USA Corp., Desert Scion/Toyota, Steve Romeo and Lisa Armstrong, as well as Centennial Toyota. The National Glass Association has some very serious things to say about improper windshield installation and the dangers associated with it. They state, “A cracked or improperly installed windshield is dangerous…you might ask, ‘why is this important to me?’ Well, did you know the windshield of your automobile is a safety device, like air bags and safety belts? It is true. Besides the obvious role of protecting occupants from wind, water and debris, your car’s windshield can help save your life, and the lives of your passengers, by ensuring you are not thrown from the vehicle in a collision. Windshields also play a critical role in the front passenger airbag deployment on many cars. In Addition, the windshield (and rear window) helps support the roof of the vehicle in a rollover so you and your passengers will not be crushed”. Check the entire windshield, inside and out, for chips and cracks. Minor chips and very small cracks may be repairable, provided they are outside the driver’s primary line of sight. Any significant cracks or damage will require windshield replacement. Check around the edge of the glass for damage to the surrounding bodywork. Any problems that affect the seal of the glass to the body can weaken the structural integrity and should be repaired. Check the windshield wipers to make sure the rubber blades are soft and pliable. Hard, brittle or damaged blades can break and allow the metal wiper arm to scratch the glass. Have NGA (National Glass Association) certified technicians. Use the manufacturers recommended Urethane Adhesives. The NGA has much more helpful information regarding why using an NGA certified windshield replacement and auto glass repair shop that endorses the AGRSS and uses OEM auto glass and parts is so critical. If you would like to read more on this subject, the link to this page of their website is https://www.glass.org/press/073107_AAA.htm. Looking for a cheap windshield in Albuquerque ? Do you need a new windshield in your vehicle? When shopping for your replacement auto glass or replacement windshield it is usually an unexpected expense that adversely effects your bank account. Your first thought is to get it fixed as cheaply as you can and as quickly as you can. But you still want to be smart with your hard earned money and how you are spending it. Are Auto Glass installers adhering to the proper use of sealants? Are cost-cutting measures by shops and insurance companies, along with the “want it now” mentality of consumers, sacrificing safety? With the millions and millions of windshields replaced each year, should the after market be regulated? The Detroit News article is just one of many media sources who have focused on windshield replacement safety. Maya Donnett might have walked somewhere today had her rental car’s replacement windshield not popped out like a jack-in-the-box two years ago. Instead, the former condominium saleswoman navigates her apartment in the motorized wheelchair she’s been confined to since breaking her neck in the 1996 crash. Auto safety experts and glass manufacturers argue Donnett’s life-altering injury was avoidable. They contend her story personifies the need to prescribe standards and regulations for the after-market windshield business. The reason: The windshield over the years has become integral to overall occupant protection. Yet federal regulators don’t monitor windshields — or any other auto part — not installed as original equipment. Windshields are a particular concern. Some after-market glass shops use lesser quality sealants to hold windshields in place, said Linda Barnett, director of industry development for the National Glass Association in McLean, Va. Many, she said, neglect to emphasize to their customers the importance of time and temperature in assuring the glass bonds correctly. As a result, the panels often don’t adhere properly and are at greater risk of falling out under the pressure of a crash. But “auto glass, the windshield in particular, has become a large part of the structural integrity of automobiles and a key safety device,” Barnett said. Besides doing its traditional chores — stopping debris from flying inside the passenger compartment and motorists from being thrown outside a vehicle — the windshield now is critical to air-bag performance. More and more automakers are installing passenger-side air bags that fire first toward the thick panel of glass, letting it absorb potentially lethal force, before inflating toward the occupant. After deployment, the windshield helps position the air bag in front of an occupant. And automakers depend on the heavy pieces of laminated glass to buttress vehicle roof strength and absorb some crushing forces in rollover crashes. Anecdotal evidence supports such a conclusion, too. Ford Motor Co., in the late 1980s, tested the roof strength of its former Aerostar minivans with and without a windshield. It found the van’s roof buckled more without the glass panel. “People would shudder if they realized the structural integrity of a vehicle’s roof depends on a piece of glass,” said Ralph Hoar, a Virginia auto safety consultant. Donnett learned that fact in the most lamentable of ways. On Sept. 16, 1996, she flew from Manila, Philippines, to Kauai, Hawaii, for work. Fluent in Chinese, Donnett was stationed on the Asian island by Marriott Hotels, for which she sold posh time shares. After leaving the airplane, she walked to National Car Rental. The only car available was a 1997 Chevrolet Cavalier that had had a replacement windshield installed hours earlier — the second one mounted in that car in six months. Donnett was en route to a dinner party later that day. She was belted and estimates traveling “25 to 30 mph” on a snaky poorly lighted road when she inadvertently steered the car onto the soft shoulder. Something caused the Cavalier to roll over on its roof. Seconds after the car rolled over, the fresh windshield popped out and, Donnett alleges, contributed to her fate. In a lawsuit she filed against General Motors Corp., National Car Rental and Windshield Kauai, the company that mounted the glass, Donnett argues the panel was improperly installed and not given ample time to seal correctly. A post-crash examination of the Cavalier for defects reached the same conclusion. Donnett said the windshield’s popping out induced, in part, the collapse of the Cavalier’s front roof support pillars. That, she contended, allowed most of the car’s 2,600 pounds to cave in on her head and break her neck between the third and fourth vertebrae, leaving her a quadriplegic. National Car Rental and Windshield Kauai failed to respond to multiple phone calls. Auto safety advocates and glass industry lobbyists fear a rise in such injuries and lawsuits because of the volume of cracked, fissured and spider-webbed glass panels getting replaced — 11 million a year, the National Glass Association estimates. The business has attracted more startup companies, and the association fears the increased competition for customers is prompting some glass shops to use cheaper, inferior sealants to bolster thinning profit margins. Some even use butyl tape to hold a windshield in place and buy time for lesser quality urethane to seal. “But the tape takes up space that should be filled by urethane,” said the glass association’s Barnett. Exacerbating the problem are cost-conscious insurance companies and impatient consumers. Most insurers refuse to pay for anything beyond the price of the windshield and the time it takes to install it. But most adhesives require time — at least a day, frequently more — at the right temperature and humidity to seal correctly. Replacement shops, however, can’t afford to let a vehicle just sit in a bay and eat up space that could be devoted to another paying customer. Customers welcome the rush, though. Most want their wheels back as soon as possible. Recognizing that, some shops send mobile units to parking lots to replace auto glass while vehicle owners work or shop. The glass association is developing an “Industry Code of Practices/Standards” for its 4,000 members to use as a guideline in replacing windshields. “Our primary concern is for the physical safety of consumers and the legal safety of the installing industry,” Barnett said. She noted that her association, earlier this year, broached NHTSA about writing a rule governing windshield replacement but was told the agency only regulates automakers. Patt Ardis, a Memphis, Tenn., attorney specializing in automobile glass cases, said the government should at least monitor auto glass replacements, given their frequency and importance to passenger safety. Donnett couldn’t agree more. She knows, however, it’s too late for such a standard to help her and is focusing on more practical matters. These FAQs cover the insurance basics for auto glass repair and replacement. You should always refer to your policy for more detailed information. Asking your insurance provider about your policy coverage and deductibles is generally not considered a claim. To be certain, please refer to your insurance policy. What if I only have liability coverage on my vehicle? Because liability insurance only provides coverage for damages to another vehicle, auto glass services are not covered under your liability policy. Chapman Auto Glass offers multiple payment options including cash, Visa, MasterCard, Discover and American Express. Many insurance companies cover windshield repair at 100% coverage with no deductible. A representative will be happy to help you with your questions regarding insurance coverage. Call us at 505-228-5869 for more information. Contact your agent and/or insurance provider or refer to your insurance policy to confirm your specific coverage. You can pay for the work yourself. Chapman Auto Glass offers multiple payment options including cash, Visa, MasterCard, Discover and American Express. Do I need to contact my agent or insurance company before I contact Chapman Auto Glass? No, we can do that for you. We’re experts at verifying coverage, filing the claim and handling all the paperwork. We will contact your insurance company and submit the claim on your behalf. Is your Windshield getting Lighter? DEARBORN, Mich. (AP) – Roofs made of carbon fiber. Plastic windshields. Bumpers fashioned out of aluminum foam. What sounds like a science experiment could be your next car. While hybrids and electrics may grab the headlines, the real frontier in fuel economy is the switch to lighter materials. Automakers have been experimenting for decades with lightweighting, as the practice is known, but the effort is gaining urgency with the adoption of tougher gas mileage standards. To meet the government’s goal of nearly doubling average fuel economy to 45 mpg by 2025, cars need to lose some serious pounds. Lighter doesn’t mean less safe. Cars with new materials are already acing government crash tests. Around 30 percent of new vehicles already have hoods made of aluminum, which can absorb the same amount of impact as steel. Some car companies are teaming up with airplane makers, which have years of crash simulation data for lightweight materials. Ford gave a glimpse of the future last week with a lightweight Fusion car. The prototype, developed with the U.S. Department of Energy, is about 800 pounds lighter than a typical Fusion thanks to dozens of changes in parts and materials. The instrument panel consists of a carbon fiber and nylon composite instead of steel. The rear window is made from the same tough but thin plastic that covers your cellphone. The car has aluminum brake rotors that are 39 percent lighter than cast iron ones and carbon fiber wheels that weigh 42 percent less than aluminum ones. Because it’s lighter, the prototype can use the same small engine as Ford’s subcompact Fiesta, which gets an estimated 45 mpg on the highway. The car won’t be in dealerships anytime soon. For one thing, it’s prohibitively expensive. Its seats, for example, cost up to $73 apiece because they have carbon fiber frames. The same seats with steel frames are $12. Still, prototypes are helping Ford and other companies figure out the ideal mix of materials. “These are the technologies that will creep into vehicles in the next three to five years,” said Matt Zaluzec, Ford’s technical leader for materials and manufacturing research. Some vehicles have already made a lightweight leap. Land Rover’s 2013 Range Rover, which went on sale last year, dropped around 700 pounds with its all-aluminum body, while the new Acura MDX shed 275 pounds thanks to increased use of high-strength steel, aluminum and magnesium. Ford has unveiled an aluminum-body 2015 F-150 pickup, which shaves up to 700 pounds off the current version. The truck goes on sale later this year. The average vehicle has gained more than 800 pounds over the last 12 years and now tops out at just over 3,900 pounds, according to government data. Not only have cars gotten bigger, but safety features like air bags and more crash-resistant frames have also added weight. General Motors’ Chevrolet Volt electric car has to drag around a 400-pound battery. Morgan Stanley estimates than shaving 110 pounds off each of the 1 billion cars on the world’s roads could save $40 billion in fuel each year. HIGH-STRENGTH STEEL: Steel isn’t going away. Chances are, high-strength steel – a lighter and stronger steel mixed with other elements such as nickel and titanium – already makes up at least 15 percent of your car’s weight. Some newer models, such as the Cadillac ATS, are nearly 40 percent high-strength steel. High-strength steel costs about 15 percent more than regular steel, but less than other materials such as aluminum. It still weighs more than aluminum, but continuing advances could cut that weight. Extremely thin but strong steels made with nanotechnology – which manipulates the metal at the molecular level – could be on cars by 2017. ALUMINUM: The typical vehicle already contains around 340 pounds of aluminum, or about 10 percent of the weight of a midsize car. It’s most commonly used in engines, wheels, hoods and trunk lids. Aluminum is lighter than steel and easy to form into a variety of parts. It’s also more corrosion-resistant than steel. There are drawbacks. The supply of steel is many times greater than that of aluminum, and will be for many years. Aluminum also costs 30 percent more than conventional steel, and a rapid increase in demand could make aluminum prices volatile. Still, consultant McKinsey and Co. predicts aluminum’s use in the auto industry will triple by 2030. CARBON FIBER: Airplanes use it. Boats use it. Carbon fiber is a high-strength material made from woven fibers. It’s half the weight of steel, it is resistant to dents and corrosion, and it offers the most design flexibility, since it can be shaped in ways that stamped metal can’t. But the high cost of carbon fiber and the time it takes to form it into parts are huge barriers for the auto industry. Petroleum-based strands must go through several stages before they’re woven into carbon fiber. After that, it takes five minutes to form the material into a part, compared with one minute for steel or aluminum. On an assembly line producing a car every minute, that’s simply too long. Plus, carbon fiber is five to six times more expensive than steel, according to McKinsey. Automakers, the government and others are experimenting with cheaper materials for the fibers and faster-curing resins that could shorten the time to form parts. McKinsey believes that could significantly shrink the price gap by 2030. Until then, expect to see carbon fiber in limited amounts on low-volume or luxury cars. The Chevrolet Corvette Stingray, which starts at $51,000, has a carbon fiber hood and roof, while the $41,350 BMW i3 electric car is built around a carbon fiber frame. Auto glass professionals are questioning Safelite’s stance that its “Advantage” guarantee covers work by Safelite AutoGlass and that Safelite Solutions, its claims management business, does not warranty the work it subcontracts to other glass shops. The company’s position became apparent when the Safelite’s senior corporate counsel voiced hope Monday that the company would be voluntarily dismissed from a recent lawsuit in which a Montana woman reportedly lost both her husband and young daughter in a rollover crash, in which the windshield allegedly separated from the vehicle. Attorney Brian DiMasi says Safelite AutoGlass did not perform the windshield replacement. DiMasi says Safelite Solutions, the company’s claims management business, processed the glass claim on behalf of another glass shop which completed the work. Due to this, he says that Safelite should be voluntarily dismissed from the complaint. Meanwhile, another auto glass business owner who preferred not to be identified says he hopes more lawsuits will be filed to address this guarantee gray area in the industry. On the AGRR™ magazine forum more auto glass professionals are sharing their feedback and asking questions. This story is an original story by AGRR™ magazine/glassBYTEs.com™. call us at (505) 228-5869 today! You will be glad you did! Request a quote for Auto Glass Repair or Windshield Replacement services in Albuquerque/Rio Rancho areas.